The world can be a pretty difficult place to navigate when you lack the ability to see it. There are many visually impaired people across the globe, with some figures claiming up to 40 million individuals affected. While walking canes and seeing-eye dogs can be a huge help, [Anirudh] of Multimodal Interactions Group, HP Labs India, and some students at the College of Engineering in Pune, India (COEP) have been hard at work constructing a haptic navigation system for the blind. [Anirudh Sharma and Dushyant Mehta] debuted their haptic feedback shoe design during an MIT Media Lab Workshop hosted at COEP. In its current form, Google Maps and GPS data is sourced from an Android device, which is fed to an Arduino via Bluetooth. 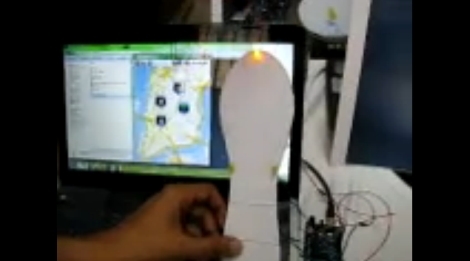 The Arduino then activates one of four LEDs mounted on a shoe insert that are used to indicate which direction the individual should travel in order to safely reach their destination. While the current iteration uses LEDs, they will be swapped out for small vibrating motors in the final build. We’re always fans of assistive technology hacks, and we think this one is great. The concept works well, as we have seen before, so it’s just a matter of getting this project refined and in the hands shoes of those who need it. 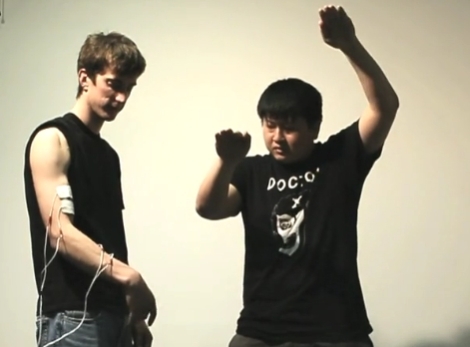 Stick around for a quick video about the project filmed at the MIT/COEP event. [EmcySquare] is delving into some hobby-blacksmithing by making his own knives. He needs a furnace to heat the metal, and after trying out a few different forge designs he decided to attempt an electric kiln build. The final project seen above is a box within a box. The outer shell is reclaimed using old computer cases and metal shelving brackets. Inside you’ll find a box made from fire brick, with stone-wool insulation to keep the heat where it’s supposed to be. He cut the bricks to the right size to build the inner box, then added grooves on the inside edge witch will host the heat coils. This cutting was done with an angle grinder and [EmcySquare] notes that it kicks up an extraordinary amount of brick dust to make sure you’re wearing a respirator and goggles. 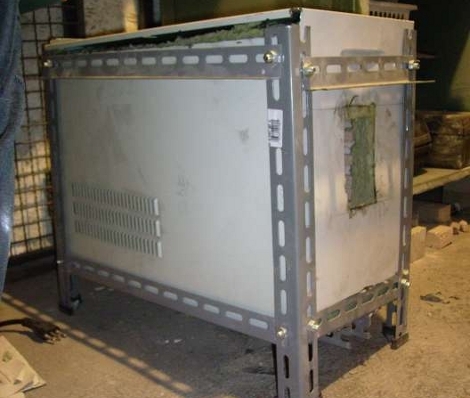 Once the enclosure was ready he set out to fabricate the heat coils. Twelve meters of Kanthal A1 wire was used, shortened to a neat length by shaping coils around a 1 cm diameter wooden dowel. This prototype works but future improvements plan to add automatic temperature control through a thermocouple and a relay. [Csshop] is setting a new bar for building an inexpensive CNC mill. Not only did he complete his build at a very low cost, but it seems to work quite well too. Check out the video after the break to see the device cut out thin wood parts for a toy plane. The majority of the build uses scrap wood for the body of the mill. The business end of the device is a flexible rotary attachment for a Dremel tool which takes a lot of the weight and bulk out of the gantry assembly. Old flat bed scanners were gutted for the precision ground rod and bearings, as well as the three stepper motors used to drive the axes. 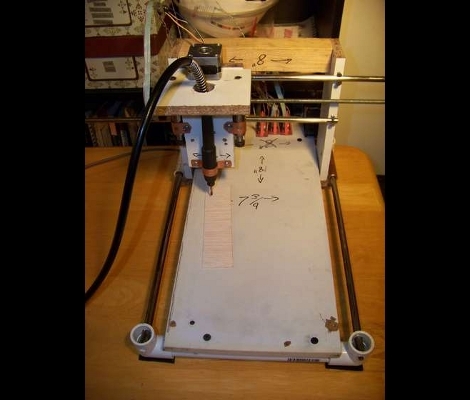 An Arduino board controls the device, commanding the stepper motors via EasyDriver boards. Once the hardware is assembled there’s still a fair amount of work to do. [Csshop] builds his designs in Google Sketchup, but some conversion is necessary to arrive at code that the Arduino will understand. He’s got a second project write-up that covers the software side of things. SecurID is a two-factor hardware-based authentication system. 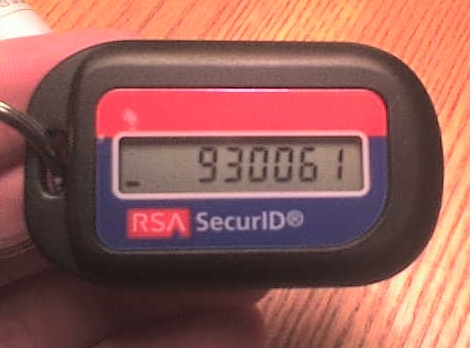 It requires you to enter the number displayed on a hardware fob like the one seen above, along with the rest of your login information. It’s regarded to be a very secure method of protecting information when users are logging into a company’s secure system remotely. But as with everything else, there’s always a way to break the security. It sounds like last month someone hacked into the servers of the company that makes SecurID. You’ll need to read between the lines of that letter from RSA (the security division of EMC) Executive Chairman [Art Coviello]. He admits that someone was poking around in their system and that they got their hands on information that relates to the SecurID system. He goes on to say that the information that the attackers grabbed doesn’t facilitate direct attacks on RSA’s customers. We’d guess that the attackers may have what they need to brute-force a SecurID system, although perhaps they have now way to match which system belongs to which customer. What’s you’re take on the matter? Lets us know by leaving a comment.